OOTD - Zip Into Summer | Curvy Style Guide | The Shopaholic Diaries - Indian Fashion, Shopping and Lifestyle Blog ! Haven't we all gone through days, when we pick a trendy outfit from our favourite store, and get dressed one fine day in it and step out in style, only to be pointed out by someone - hey! Don't you think this outfit doesn't suit your body type??? Well, believe me or not - not only me but a lot of my skinny friends have also faced criticism on their outfit choices and it really baffles me. Why can't we appreciate our fellow women? Why do we have to really judge their outfit choices? 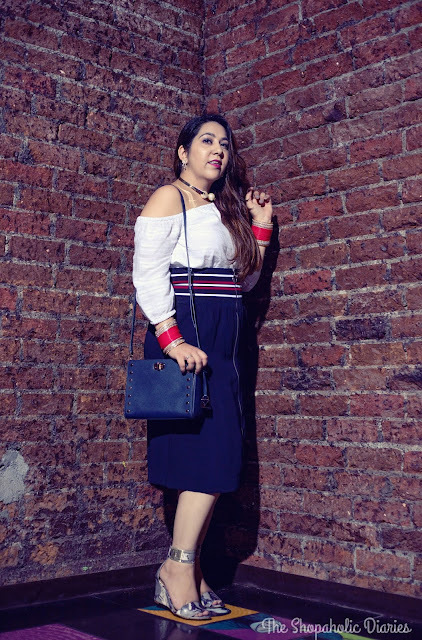 So, that's why I started the Curvy Style Guide series on my blog a few years back to share certain trends and styles that usually people advise curvy divas to 'not to wear'. But I think if you pick your outfits carefully, there's no trend that you can't flaunt with confidence. 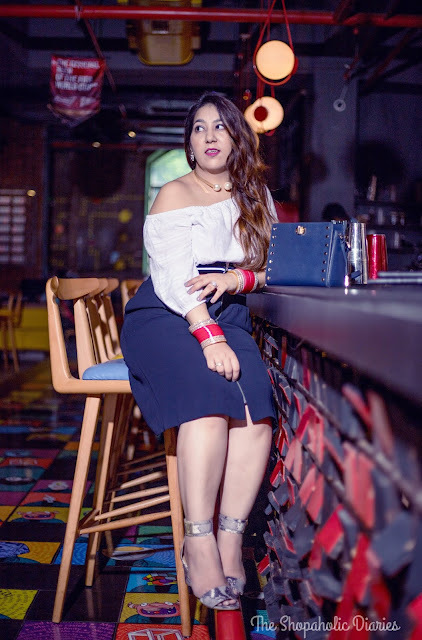 In today's post, I am sharing one such trend - front-zip skirt - that even though considered to be too risqué, is a great pick to flaunt your curves. 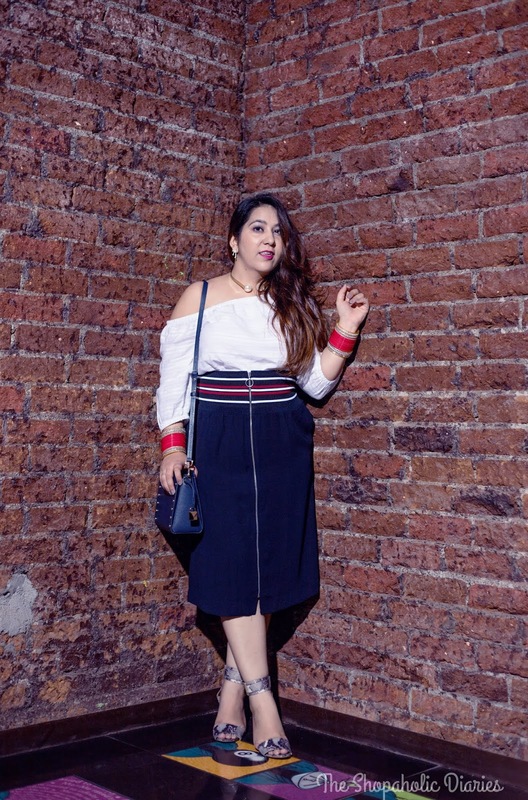 I picked this trendy skirt from ZARA which features an exposed front zipper and a striped waistband. The best part about this skirt is that it can be styled from work to party easily, with just the change of a top and accessories. 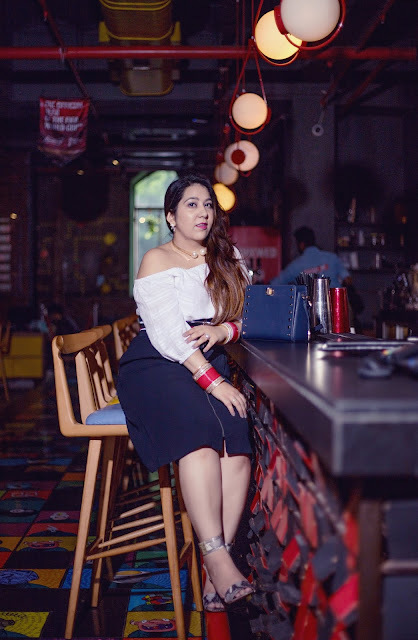 I styled my zip-up skirt for a party look, paired with a white bare shoulder top from Forever New and ankle strap wedges from Nine West. 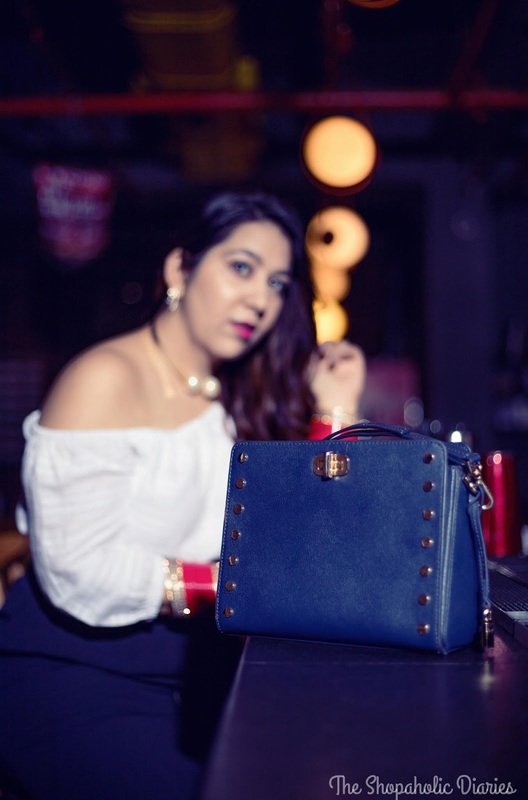 Completing my party look beautifully was this trendy sling bag from Michael Kors - which is my go-to bag these days for parties and dinner dates. The key to styling a front-zip skirt is to pick a style which is fun but not too flashy, and don't go overboard with too many zippers. While wearing a similar skirt, make sure you are not wearing any other exposed zippers - or you will end up looking trashy. 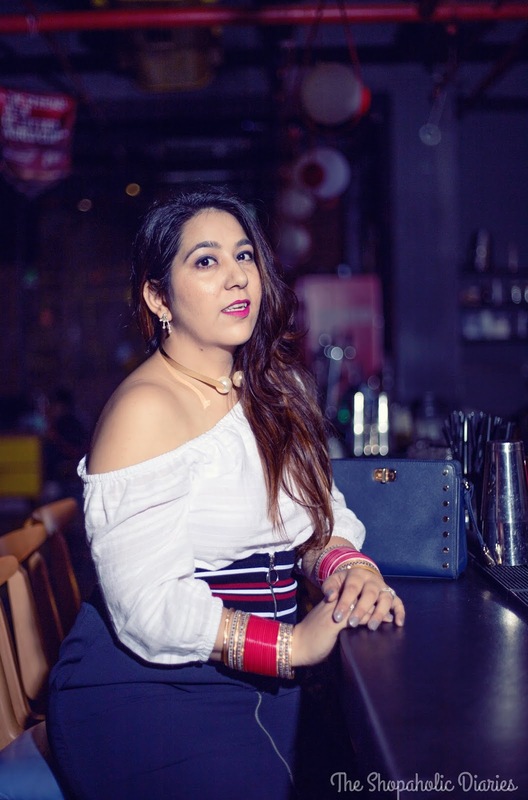 Zippers can help contour your body, so go for a style that connects at the centre (like mine) as it will make you appear thinner. 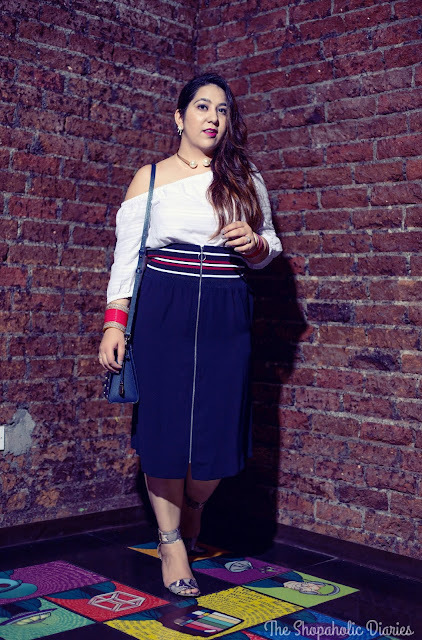 You'll also find skirts which have zipper pull tabs on both ends, so you can wear it multiple ways by going for a custom split as per your mood or the occasion. So, have you tried the exposed zipper trend yet? If yes, let me know how you like to style yours in Comments below.